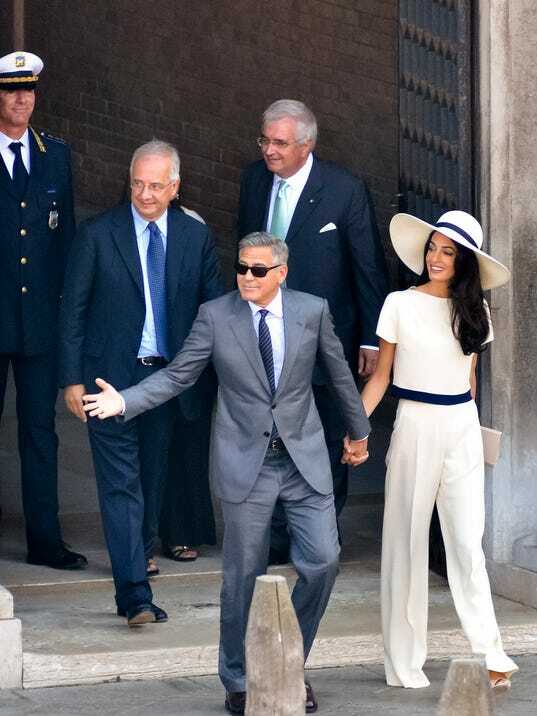 It was quite the weekend in Venice, Italy, as George Clooney, once the world’s most eligible bachelor, married Amal Alamuddin in a spectacular four-day wedding event. The celebration began on Friday night with friends, family and assorted celebrity guests as the couple hosted a dinner at the five star Belmond Cipriani Hotel on the island of Guidecci. Amal looked amazing in a fiery red dress as various guests boarded water taxis for the commute to dinner and hotels. Amal celebrated with the ladies after supper while George enjoyed some stag party time, drinking tequila (his own brand, Casamigos, of course) and red wine (2010 Sassicaia, a very pricey vintage supplied as a gift by the restaurant owner). 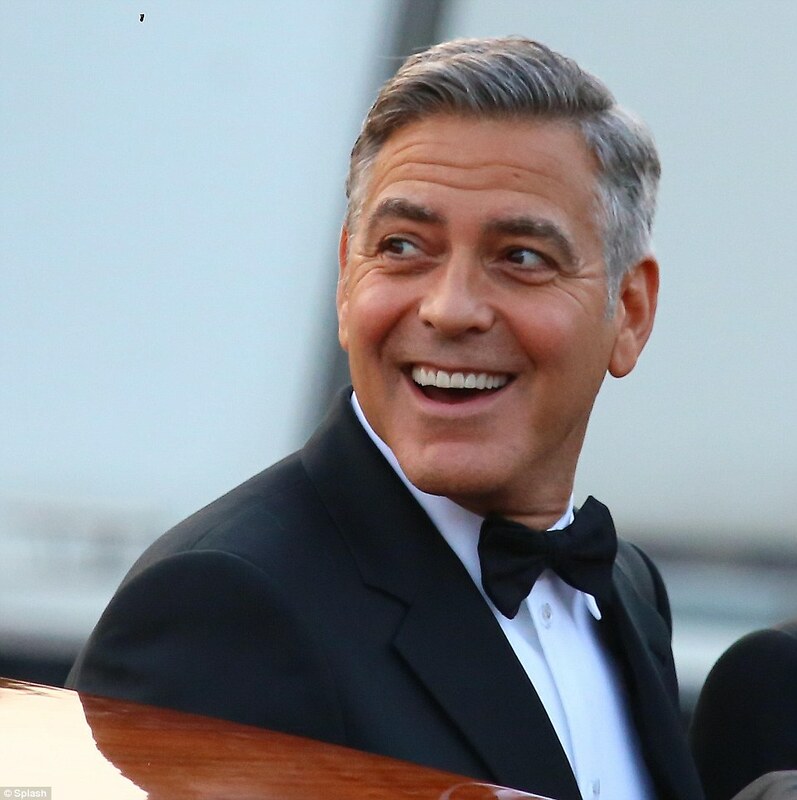 George looked relaxed and happy, joking with guests and smiling throughout the evening. Saturday morning, George had breakfast with good friends Cindy Crawford and her husband Rande Gerber. He was full of smiles again, mugging with photographers and apparently relaxed and excited. Saturday afternoon the preparations continued. Crews erected scaffolding to create a more dramatic landing area with canopies to help shield some of the guests from paparazzi. Various vintage water taxis were decorated with flowers (our first sneak peaks at the wedding flowers!) and other delivery taxis brought wedding flowers to the venue.The water taxi bouquets are done in a palette of peach and pink roses. If you like this look, we recommend the Bunches Direct bridal bouquets Pretty Woman, Pink & Peach, Pink Focus, or Forever Delicate. The tall wedding flower arrangements are ivory. If you like tall flowers like this, gladiolas, larkspur, and stock all work beautifully, (and all are available through Bunches Direct bulk flower selections…). 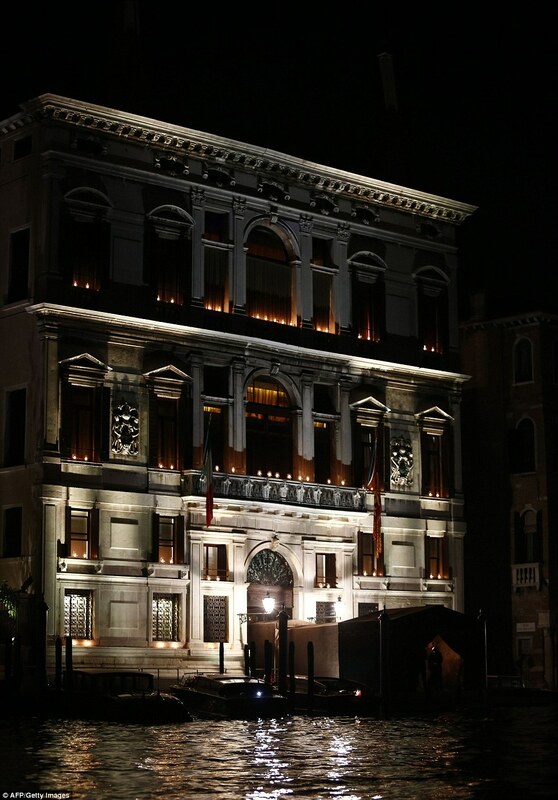 The ceremony took place Saturday evening at the glorious seven star Aman Hotel, on the Grand Canal. Vintage water taxis ferried guests to and from the ceremony, while crowds lined the Canal. Amal remained inside with her family. Celebrity guests including Matt Damon and his wife (who were some of the first guests to arrive), Emily Blunt and husband John Krasinski (love her elegant keyhole-neck blue dress), Bill Murray, Ellen Barkin, Cindy Crawford, Vogue editor Anna Wintour (in a chic black and silver dress with a fur stole) and Bono (in yes, his trademark black) began arriving at about six-thirty p.m. After their arrival, guests were treated to champagne and canapes including polenta with wild mushrooms, and prosciutto ham with figs. George arrived with his father Nick just before seven p.m. for the sunset ceremony. 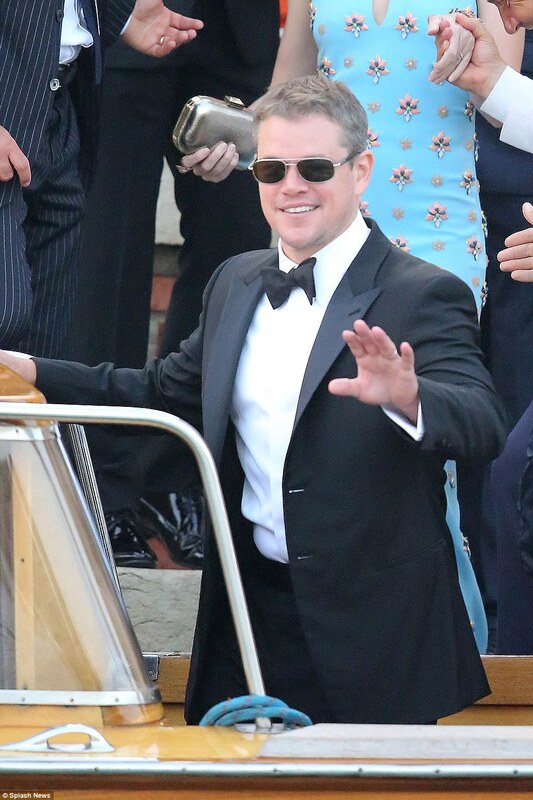 He looked suave and distinguished in a black Armani tux. He used his customary water taxi, which is named, appropriately, “Amore” (“love” in Italian) for the 15 minute trip from the Cipriani Hotel to the Aman. He again appeared relaxed and excited, waving to the crowds. The ceremony was conducted by friend and ex-mayor of Rome, Walter Veltroni. Saturday night the party continued late into the evening. And then there was ceremony number two! Monday the couple took yet another water taxi (it is Venice) to the fourteenth-century Ca’ Farsetti Palazzo, where Venice’s town hall is located, to complete the require civil procedure. The short 20 minute process was also completed by Walter Veltroni, who emerged with the couple afterward. George wore a grey suit with matching tie, while Amal looked stylish yet again with a cream-colored short-sleeved jacket and palazzo pants. She added a wide brimmed hat with a navy ribbon to really nail the elegance factor. 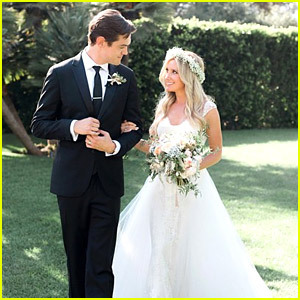 The couple reportedly left Venice not long after the civil ceremony, no doubt exhausted but elated from their spectacular Venice weekend. So your big day is almost here, and your wedding flowers have been delivered! Now what? Receiving and preparing your flowers is another big step in your final wedding preparation countdown. Whether you chose to purchase beautiful bulk flowers for your own special project, or professionally arranged bouquets, centerpieces, boutonnieres, or corsages, you want those gorgeous blooms to stay looking their best. Flowers are one of Mother Nature’s best creations, but they do benefit from some TLC. Here are some great tips for ensuring that your flowers will look stunning and fresh on your wedding day. Firstly, it’s important to remember that your bulk flowers have come directly from the farm. Chances are they have traveled a fair distance, and they will need a good drink so they can perk up. They many not look at their best right away, but don’t panic–this is normal. Another general tip to recall is that exposing flowers to warm environments (outside, hot room in the house, etc.) will help flowers open up and bloom, but if you like the way they look then try to maintain them. Placing them in a cooler environment will slow down the opening process. Your choice of temperature ultimately depends on the timing of your delivery and the big event. Flowers in wedding bouquets and centerpieces will also benefit from water and care. If you follow our tips, you’ll see what a huge difference an overnight can make! 1. Remove flowers from the box. 2. Keep protective wrapping on the bunches or stems, but remove any netting from around the blooms. 3. Remove any foliage that will be below the water line. 4. Get a bucket and fill it with three (3) inches of water. Add the flower food. Use warm water for roses, and room temperature water for other flowers. 5. Cut one inch off the ends of the stems. Cut on an angle, and place the stems into the water. Allow the flowers to hydrate for at least 12 hours. 6. Remember, the optimal temperature for flowers is 40 degrees F (4.5 degrees C). If you don’t have access to a cooler or a fridge, put the flowers in a basement or a cold room. 7. Avoid direct sun and drafts. 1. Remove any remaining protective wrapping. 2. Farm-packed roses usually require removing two or three of the outer guard petals for a fresh, manicured look. This is normal! All the roses you see in a florist shop window have had outer petals removed. 3. Re-trim stems daily as needed for optimal flower development. 1. Remove the wedding bouquets from their box. 2. Remove any cellophane wrap. 3. Remove the green foam from the bottom of the stems and rinse them off thoroughly. 4. Trim 1/4 inch off the stems in the bouquet, and place into a container in one inch of water. Most wedding centerpieces arrive arranged and ready to place into your container of choice. To keep them looking their best, follow steps 3 and 4 from Bridal Bouquet care. If the centerpiece was packed in a plastic container with moist floral foam, follow the advice of your florist, but these generally should be kept in the container they were shipped in and the foam kept moist until you are ready to use. When you are ready to place them in their containers, remove foam, rinse stems, and cut them to your desired length (stand up the arrangement alongside your container for a good gauge as to how much to cut off). Mist the blooms with some water, place in a covered container or a bag, and place into the refrigerator until ready to use. Follow these tips (or assign a friend, family member, or bridesmaid to do them) and your wedding flowers will be looking at their peak beauty for your wedding day. Enjoy! Autumn has arrived! In many areas there is a nip in the air and growing color in the tree leaves. If your fall wedding is coming up fast and you are hoping to make your own wedding centerpieces and aisle decorations, don’t despair! We have some great DIY tips and inspiration for your fall wedding that are sure to make a big impact on your guests—but not your wallet! Most of the ideas require a quick trip to the local craft store, a visit to the farmer’s market, or simply a refreshing walk in the woods. 1. Choose the right container. If you are going with metal vases or containers for your fall wedding centerpieces, you may want to stick to the warmer finishes such as bronze or gold. Woven baskets, containers covered with sticks (use a good glue gun), or mason jars are another good choice. 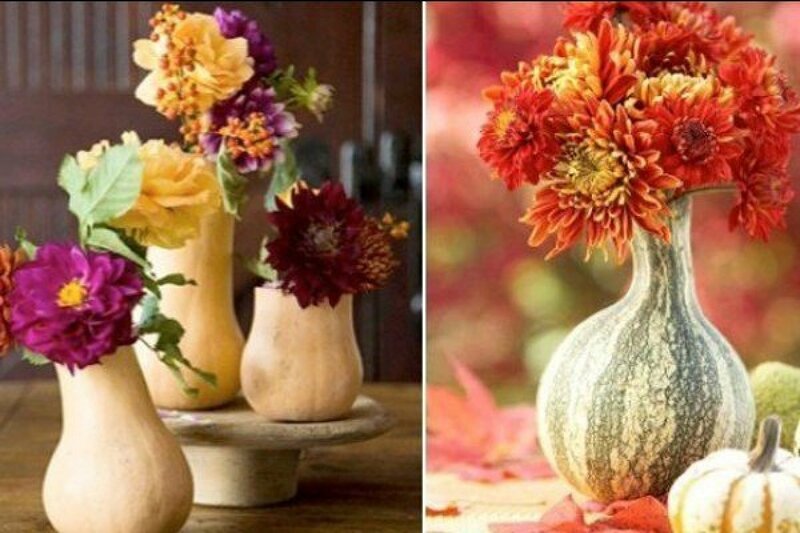 If you are using glass vases, you can always fill them with autumn elements (see below) such as mini gourds. And if you don’t mind some added work or have many helpers, you can always use a real pumpkin as your container. For another cute idea, the container and flowers become one and the same. Choose your flower of choice (asters or mums are hardy and come in great fall colors), and cut off the stems. Using a glue gun, glue the blooms to a pumpkin (a faux pumpkin is a safer choice if you are doing this ahead). The result: a memorable decorative touch that is sure to get talked about! 2. Choose the right flowers. Certain wedding flowers are more seasonal than others. Lilac, daffodils, and tulips are more “spring”, for example, while certain hydrangeas and lisianthus might be more appropriate (and easier to find) for a summer wedding. For fall, choosing richer jewel tones is a good general start.Orange, coral, red, yellow, gold, bronze, or dark purple—all these colors can work well in a fall palette. Chrysanthemums, sunflowers, carnations, lilies, asters, zinnia, and dahlias are excellent choices. Our special picks: Bronze Fuji Spider Mums (only available in the fall, $2.49 per stem), and Bi-Colored Red-Yellow Roses ($1.39 each). 3. Add In the Autumn. Adding in some natural elements from the traditional fall landscape will take your wedding aisle decorations and centerpieces to “wow” levels. For a designer “fall” look, consider adding in some tree branches, sticks, or colorful fall leaves among the blooms. 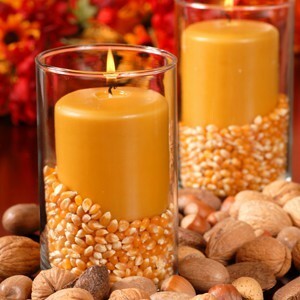 Glass containers or mason jars get a boost from mini gourds, unpopped popcorn kernels, burlap, or burgundy ribbon. And of course pumpkins, gourds, and apples are other go-to fall wedding touches. Use them inside clear containers, scattered among your centerpieces, or set up along the aisle decorations. If you don’t feel they are “fancy” enough for your wedding, use some gilt spray paint and make them gleam. Candles are always an elegant touch, and create an especially cozy feeling on a crisp fall day. Your wedding is very special event, not only for you and your Future Husband, but also for your parents and future in-laws. Parents can be a huge source of support, from financial to emotional to decision making. But, let’s face it, not every parent is unconditionally supportive. Even in the best of circumstances, wedding planning can ratchet up your stress level. When you add some opinionated and overbearing parents into the mix, things can get especially tense. Some parents go overboard, want to plan the entire event start to finish, or have definite ideas on “the fact” that their way is the right way, and your way is not good enough. The very people who love you the most can end up adding to your stress as opposed to diffusing it. 1. Set boundaries as early as you can. 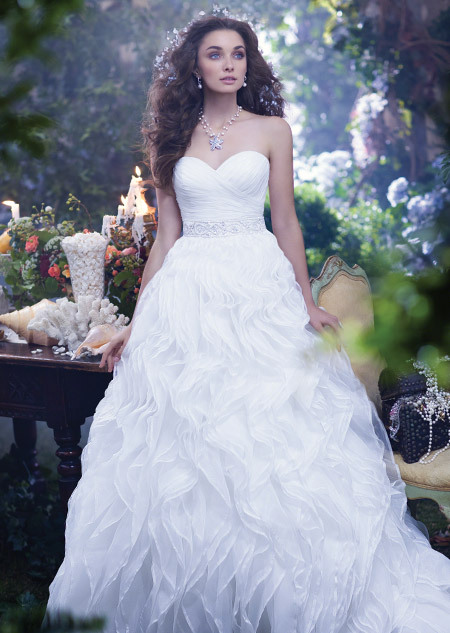 Remind yourself that you are the bride, and ultimately it’s your day. Any final decisions that you and your FH make are precisely that: final. It may be difficult to shift to a more adult relationship with a parent who was always used to calling the shots (may we say “bossy”?) but now is the time to start. However, while it’s okay to voice your own opinions and desires, try to do so in a calm and respectful manner wherever possible. Tears, guilt, and hurt feelings are not conducive to family peace (or a good night’s sleep); these are the people who love you most, and with whom you will probably be interacting with for years to come. If you need to disagree, do so privately. It will only get worse if you are giving FMIL a severe piece of your mind in front of the photographer, the cake decorator, and all the bridesmaids. If you have an issue, find a quiet spot and a calmer time, later, to talk things out. 2. Create lists and assign tasks. Give your parent(s) a task that you are okay with. This way they feel included, involved, and cared about. You can save the bigger and more critical decisions for yourself and gain additional help for the myriad of smaller tasks that still need to get done. Perhaps the parent could be assigned jobs like welcoming the guests, selecting the music for the parents dance, or coming up with the first pass at table seating assignments. Another great way to involve them is to let them help with some DIY projects (trust me— you will welcome the extra hands as the days count down). 3. Diffuse, distract, and breathe deeply. Just because your Mom or your FMIL voices their opinion doesn’t mean you have to agree, or let it get to you. Practice saying things like, “thanks for the advice. We will definitely consider that.” Or, “I hear what you’re saying and I appreciate the input. FH and I have decided…” If there is drama, try your best to ignore it (…this is where the deep breaths might help. Also see point number 4 below.) If you focus on all the small things and the nitpicking, you might go cray-cray. 4. Get help. Perhaps you can enlist a bridesmaid, sister, aunt or cousin to help you manage the interactions (or keep the problem parent busy and away from you, if it comes to that.) Don’t be afraid to ask for help in managing a stressful relationship. 5. Take breaks when needed. Go for a walk or a drive. Go out with friends and do non-wedding-related activities. Go to the gym. Get a massage, or even better, a couples’ massage. Do anything that you enjoy, that will distract you from tension. You can’t be in planning mode all the time. 6. Remember the big picture. The important thing is that at the end of all this, you will be married to the person you love. You will be starting your life together as a team and, with hope, all the drama will be behind you. And it never hurts to recall that in many ways, you are lucky to have parents who are there for you. 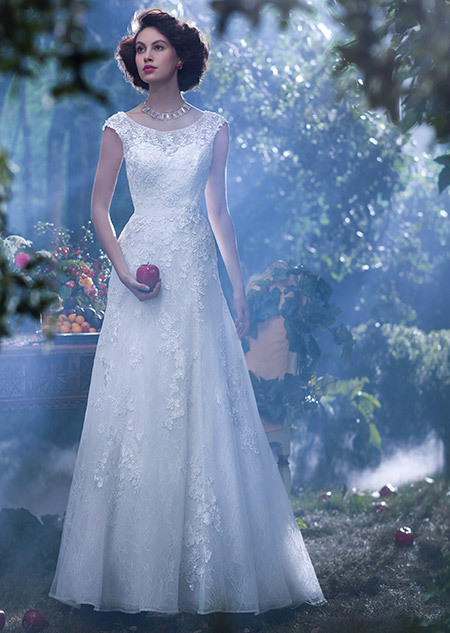 Best of luck and try to enjoy the planning, as well as your special day as it unfolds!